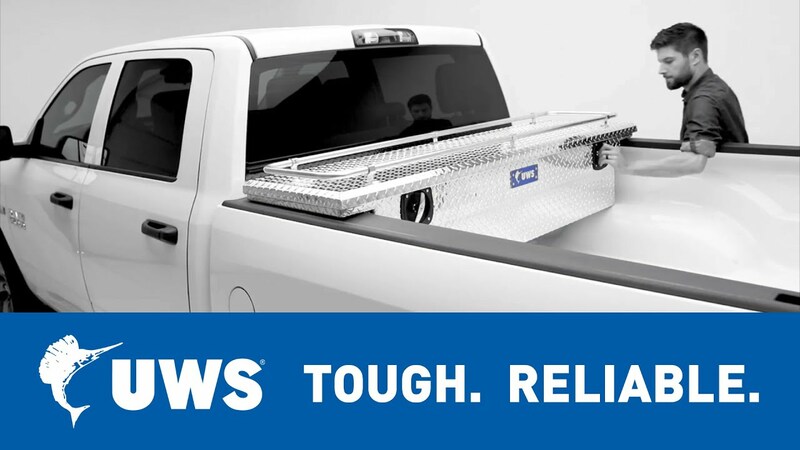 UWS drawer truck tool boxes are the perfect way to maximize the storage area on your vehicle and maintain excellent organization of your tools and equipment. 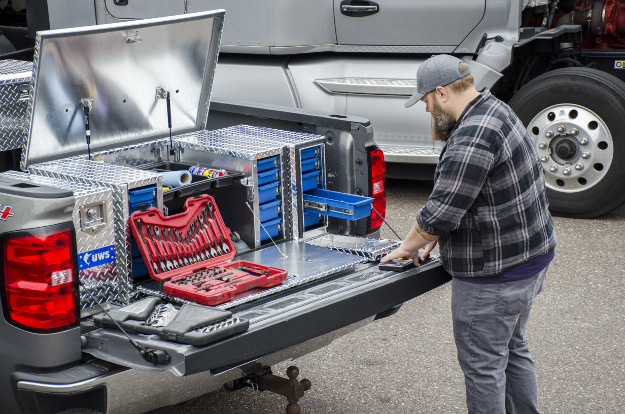 We offer three styles of drawer truck tool boxes, including a standard drawer box with five drawers, a combination utility chest with ten drawers and fender well tool boxes with three integrated drawers. All feature commercial-grade sliding drawers, extra-thick aluminum construction and stainless steel locks. For optimal organization of hand tools, hardware, supplies and other small items, UWS drawer tool boxes are made with commercial-grade sliding drawers. The drawers are constructed from precision-injected plastic to hold up to regular wear and remain completely rust-free. Each of the sliding drawers features stainless steel ball bearings. This promotes smooth operation of the sliding mechanism and helps ensure long-lasting use by remaining resilient to dirt, moisture and corrosion. 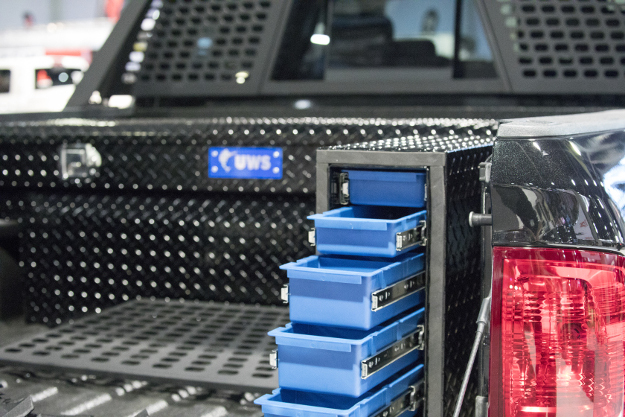 Like all of our truck tool boxes, UWS drawer boxes are all built with extra-thick aluminum. The 0.058” thick aluminum plates that make up each box are welded together into a single-piece tub. This adds strength and prevents leaking. 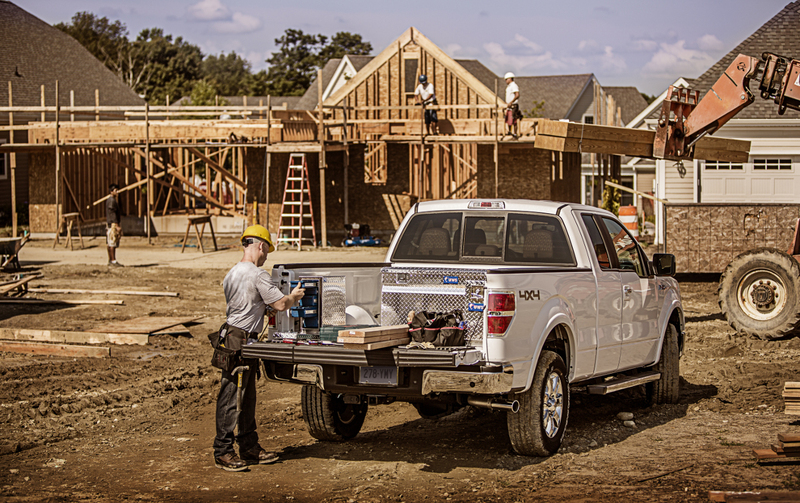 Aluminum construction allows the tool box to remain lightweight for easier portability. It is also highly corrosion-resistant to outlast the elements. For dependable security, each UWS drawer tool box is guarded by a stainless steel locking mechanism. We use stainless steel for its non-corrosive qualities, but also to supply the lock with reliable strength. Our drawer boxes use a lockable T-handle. Our utility chest with drawers uses a key-operated paddle handle, and our fender well boxes are protected by a combination of both lock types. UWS drawer boxes are a versatile tool box option. 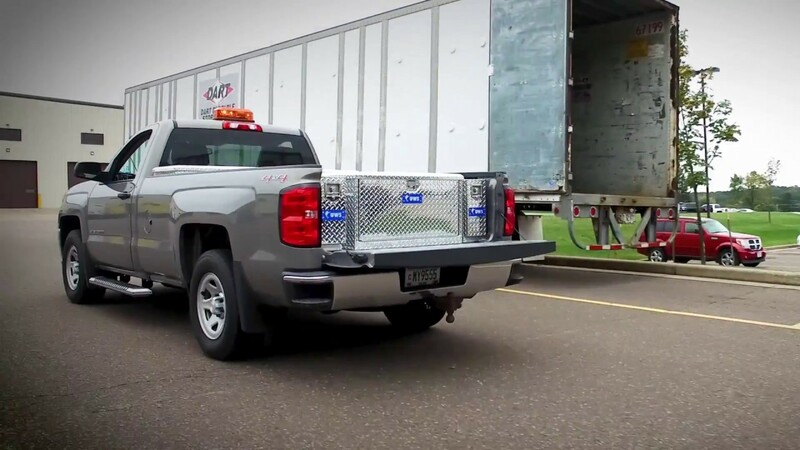 They can be mounted in a truck bed or van cargo area for added storage and organization. They can also be used on a workbench, in a utility closet, at the office or elsewhere to provide secure storage of small items. Our drawer boxes are equipped with five sliding drawers secured behind a thick aluminum door and T-handle lock. The door is also equipped with a MicroSeal™ gasket to help keep out moisture, insects and other threats. 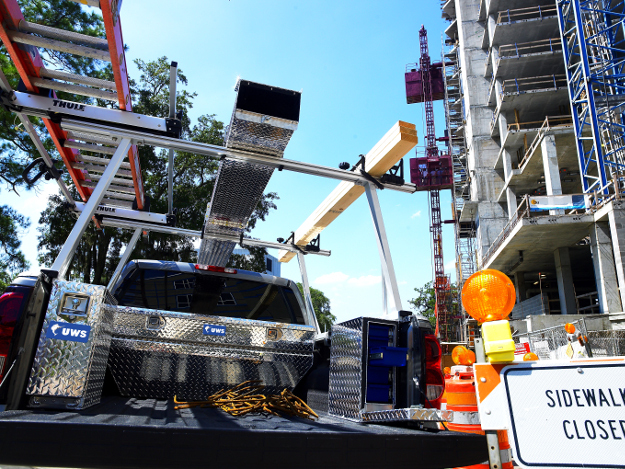 We offer multiple sizes and finish options to allow you to perfectly match the style of your truck or workspace. For additional storage and organization, the UWS utility chest with drawers is the complete package. This enhanced utility chest box features a center compartment to provide four cubic feet of storage area. On each side of this compartment is a set of five sliding drawers that can be used to hold hand tools and other small items. 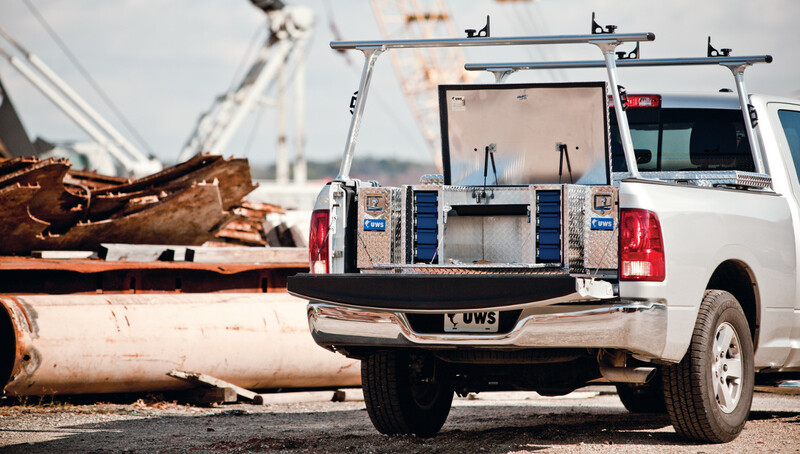 UWS fender well tool boxes provide secure, versatile storage space that integrates with the layout of your truck. 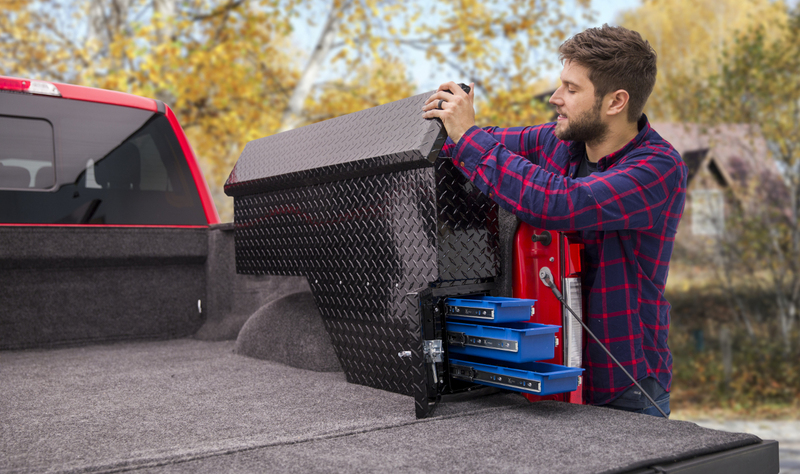 The box is designed to mount over the wheel well fender in your truck bed and provide a side mount truck tool box, as well as three sliding drawers that open toward the rear of the vehicle. 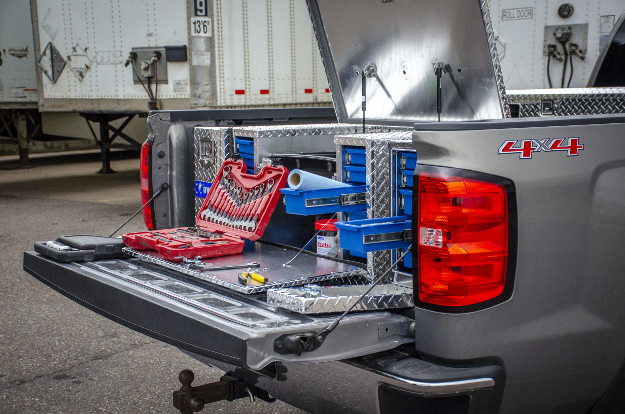 These wheel well tool boxes can be purchased for the driver or passenger side of the vehicle and are available in various sizes and finishes to fit your own unique truck. They also feature our patented RigidCore™ foam-filled lid, self-opening struts and MicroSeal™ gasket.